Check out GYPSYPOP Records, new contest! In a nutshell, record labels, for the most part, are all about making money! The profit margin usurps the creative vision. GYPSYPOP Records is the antithesis of that, which gives Lynx, Sea At Last and Marya Stark the ability to be musically adventurous, think outside the box, and be irreverent and groundbreaking. For instance; if GYPSYPOP was really concerned about selling hundreds of thousands of units, would they put an attractive, bare breasted women on the cover of the Sea At Last CD?!!! We love GYPSYPOP here at HIP; the music is earthy, organic…made with instruments, not machines! Here’s the skinny on our favorite new indie label! GYPSYPOP RECORDS was founded in 2008 by a composer/cinematographer with an unwavering commitment to music and business integrity. 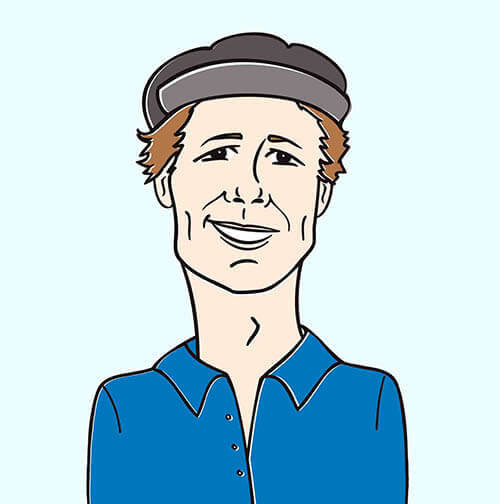 The label is run by a team of musicians that set off on the path of supporting good music and met 13 unique artists along the way. With a deep love for the gypsy culture and spirit, we celebrate music as a language of the heart and a way of life. We have a diversity of sound on our label, ranging from traditional russian gypsy music with a rock n’ roll twist, to folk-tronica multi-instrumentalists, to synesthetic composers. GYPSYPOP RECORDS proudly supports the artists exploration in their sound. It is important to us that our artists have the ultimate freedom in their creative vision and own their recording masters. Our business practices remain in honor to the true value of art in our society. We choose the long road… to revel in the journey. – over all good vibes and support! Here’s what Tory Elena, Drummer/Composer in Sea At Last, GYPSYPOP RECORDS Board Member, and Artist/Illustrator had to say about the magical GYPSYPOP world. We’re running a contest on the HIP Video Promo Facebook page right now. 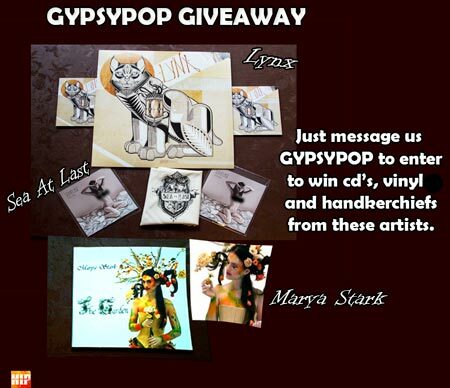 Message us GYPSYPOP to enter to win cd’s, vinyl and more!